Since 2005, Southwest Greens Birmingham has installed hundreds of putting greens and artificial turf applications across Alabama. 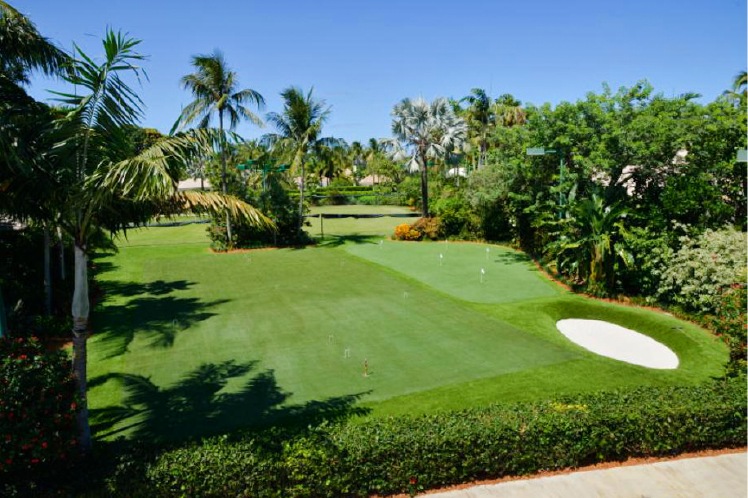 Our backyard golf putting greens installation experts can turn any space into a championship-level golfing practice area that effortlessly compliments your landscape design. commercial locations of all shapes and types. It’s not just putting greens that we install in Birmingham and around the entire state. Our professional designers and installers are experienced in tee lines, putting courses, synthetic lawns, pet turf, residential and organization playgrounds, and sports turfs to name a few. Southwest Greens Birmingham installs putting greens and synthetic grass all over the state of Alabama. We service residential and commercial locations in and around many cities in Alabama, including Birmingham, Mobile, Talladega, Montgomery, Huntsville, Decatur, Tuscaloosa, Auburn, and Florence.